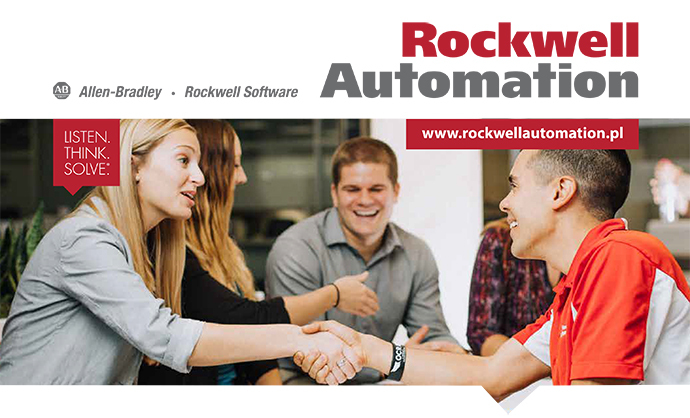 Rockwell Automation, the world's largest company dedicated to industrial automation and information. The company helps customers through leading technologies and a comprehensive portfolio of products, software and services. We are among 100 the most ethical companies globally. The Motion Business is a fast-growing part of Rockwell Automation that develops motion control products such as servo drives, servo motors, and independent cart systems for use in industrial applications. The most common market for these products are in factory automation applications such as packaging machinery, paper converting, printing, web handling, and automated assembly. Within the product development teams of the Motion Business, embedded software needs have increased in recent years as more and more functionality is put into software. In order to expand our capacity to deliver these features, a new team will be formed in Rockwell Automation’s office in Katowice, Poland. New team members at this location will have a great opportunity to join our business and contribute to even more success in the market. The Python Developer participates in the firmware and product functional testing activities for a motion control system in iterative Agile environment. Work assignments include test automation requirements analysis, design, and implementation. The position requires also design and development of automated functional tests in CI/CD environment. This role requires strong communications skills and ability to work effectively in large project teams. If you are interested in the vacancy, please send your application in English by online form. We kindly inform that this offer is conditional and chosen candidates will have to go through background check process, performed by an external company. In case of negative verification results, Rockwell Automation will be entitled to withdraw the offer without any consequences. Administratorem danych jest Rockwell Automation Sp. z o. o. z siedzibą w Warszawa 01-797, Powązkowska 44C. Dane zbierane są dla potrzeb obecnej rekrutacji, a w przypadku wyrażenia przez Panią/Pana wyraźnej i dobrowolnej zgody także dla potrzeb przyszłych rekrutacji. Ma Pani/Pan prawo dostępu do treści swoich danych oraz ich poprawiania. Podanie danych w zakresie określonym przepisami ustawy z dnia 26 czerwca 1974 r. Kodeks pracy oraz aktów wykonawczych jest dobrowolne ale konieczne do przeprowadzenia rekrutacji. Podanie dodatkowych danych osobowych jest dobrowolne i wymaga Pani/Pana wyraźnej zgody.